Unlike some companies on the web who push their disclaimer where nobody can see it, we would really like you to read ours! This product is designed to repair some of the damage in the ear that results in hearing loss but results are never guaranteed. Hearing Loss is complicated subject caused by numerous factors and this supplement will only help with some of those which we explain below. Any company offering a guaranteed 'cure' should be viewed with skepticism. The testimonials on this page are from just three customers. We would like to stress that results can vary from person to person. For some people, this product may not work at all, and this is why we offer our money back guarantee. Only someone that’s suffered partial or full loss of hearing can truly understand the impact it has on our lives. It’s natural to take perfect hearing for granted, but millions suffer moderate to complete hearing loss every year. 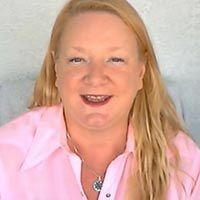 Whether it’s being unable to enjoy group conversations, having difficulty understanding the TV or just being unable to fully enjoy the time spent with your children or grandchildren, the problem is one that can’t be ignored and is usually serious enough to change how we live our daily lives. Hearing loss can start off very mild and can be hard to notice at first, but tends to deteriorate rapidly if nothing has been done to prevent or slow it down. The Hearing Supplement helps restore your natural hearing without the need for surgery, prescription medication or hearing aids. It works to give your body the essential compounds it needs to restore damaged nerves and support healthy hearing. You may already know there are two types of hearing loss – Conductive and Sensorineural. Conductive hearing loss is usually caused by a physical problem such as an infection, fluid or unusual bone growth in your middle ear. Sensorineural hearing loss often occurs from damaged nerves and hair cells in your inner ear, often caused by age, exposure to loud noises or viral infections and head injuries. It stops the harmful molecules that cause inner-ear nerve and cell damage. When these hair cells are overstressed by loud noises, "free radicals" are produced. These free radicals start to damage nearby nerves and cells, eventually killing them. The Hearing Supplement supplies your body with additional Antioxidants – the body’s natural defense mechanism, which prevents the free radical from being toxic and causing damage. The result is healthier cells and nerves, that work to transmit sound from your inner ear to your brain, allowing you to process and understand speech and music far better than before. 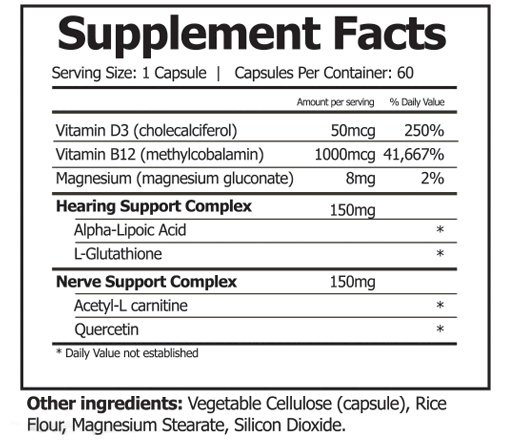 It provides the body with an ongoing supply of the supplements needed for healthy and full hearing. The body naturally produces enzymes with help protect our hearing. If you’ve ever been to a concert and experienced a temporary loud ringing that fixed itself, this was your body performing its natural function and repairing the damage to your inner ear. Your natural supply of these enzymes can deplete over time, especially with age, so The Hearing Supplement contains L-Glutathione and Lipoic Acid. These two supplements prevent damage to the cochlea which means less chances of suffering complete hearing loss even if it’s something that you’re already prone to. It assists the brain’s audio processing function to better process the sound signals it receives. 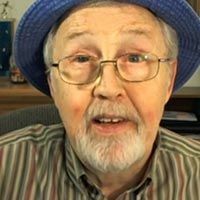 Have you ever been with someone speaking loudly, but you’re still unable to fully grasp what they’re saying? Often, the problem isn’t just due to issues in your inner ear, but also issues with the nerves that carry sound to the part of the brain which processes that information. The Hearing Supplement contains a complex designed to improve blood flow to the brain and enhance membrane efficiency, making it easier to process the sounds sent from the nerves in your ears. This means both hearing and understanding things first time round. Every ingredient in The Hearing Supplement has been carefully chosen based on its ability to help restore your natural hearing. Not only are these ingredients powerful on their own, but taking them together provides your body a potent blend designed to not just repair hearing damage, but to maintain it too when taken on a regular basis. 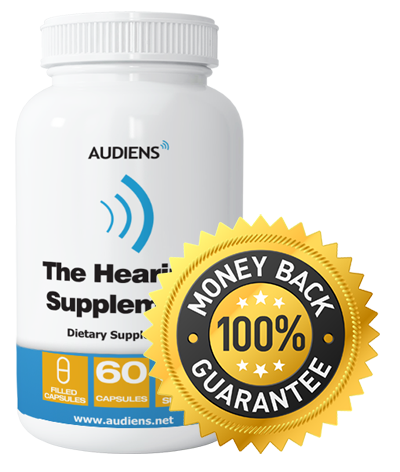 "The Hearing Supplement is not a miracle cure but it is an outstanding product. 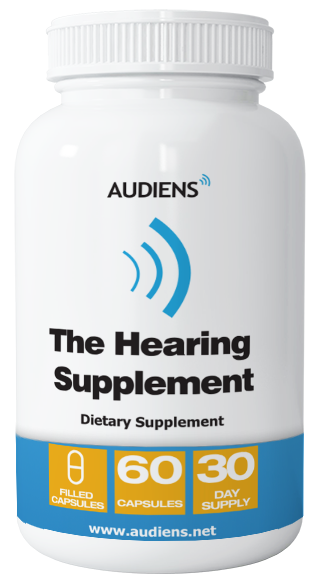 It’s a blend of compounds and supplements designed to prevent sudden and age-related sensorineural hearing loss. Each one of the ingredients have been proven in several medical studies and white papers to reduce the adverse effects of hearing loss and in some case, reverse it completely. Without a doubt, The Hearing Supplement is the most powerful, non-surgical remedy on the market today for restoring your hearing." A lack of vitamin D weakens your bones, including those in the ear responsible for transmitting sound. Supplementing your body’s can correct hearing loss and temporary deafness. Required for nearly all energy generation processes in the body, Magnesium is vital in preventing and reducing sudden and age related hearing loss. An enzyme used to protect cells from oxidative damage and protect the nerves in your inner ear. A powerful antioxidant to neutralize harmful chemicals in water and fatty tissue, allowing it to enter all parts of the nerve cell and protect it from damage. A well-known nutrient that reduces inner-ear hair cell loss. Combined with the other products in The Hearing Supplement, tests have shown it to be effective in reversing complete temporary hearing loss even up to 4 hours after extreme noise exposure. How does The Hearing Supplement compare to using a traditional Hearing Aid? Any medical professional will tell you that hearing aids are not always effective. They work by amplifying the sound rather than dealing with the cause of the problem, which in many cases is down to deterioration of the nerves or cells which process signals to your brain. Rather than just work on making the sounds louder, The Hearing Supplement works to restore the natural functions that process the sound too, improving your understanding of what you hear as well as your hearing itself. 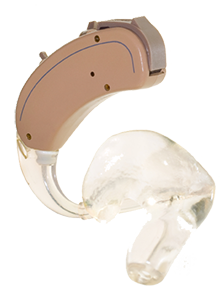 In some cases, a hearing aid or hearing implant may still be a viable solution for you, but with a hearing aid costing between $1,500 - $6,000 we recommend a trial of The Hearing Supplement first, to see if you can repair the damage before spending a considerable amount. Unlike paying for a hearing aid, The Hearing Supplement is completely risk free. If you fail to notice any improvement in your hearing after using The Hearing Supplement, simply return your unused portion (or even the empty bottle) within 90 days for a full refund. Will The Hearing Supplement work for everyone? The Hearing Supplement will only work to repair certain types of hearing problems related to nerve and cell damage (i.e. Sensorineural). Also, every person’s body is unique and whilst some people may see drastic results, some may only see small improvements. That’s why we have our returns policy. If you’re unsure whether or not The Hearing Supplement is for you, then you can relax knowing you can get a 100% no hassle refund anytime within 90 days of receipt. "I was diagnosed with presbyacusis a day after my 63rd birthday which wasn’t the best gift I could have had! 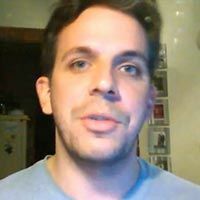 I’m writing two and a half months into taking the treatment and I began to notice clearer sounds after around 40 days. Although my hearing isn’t back to normal (and I doubt it ever will be) there’s a noticeable difference that makes it easier to get on with the day without being conscious of my problem"
"The worst thing about my hearing was always feeling like a burden in a conversation having to ask other people to speak up or repeat themselves. I ended up spending more time alone, and searching the internet for help or just someone who would understand. I found this through a recommended link and initially ordered 3 bottles. My main concern was if there would be any side effects. Three months on there has been none and my hearing seems to be much better. 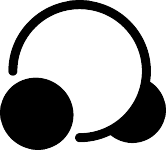 I can now hear the phone and television like before and don’t feel so anxious about being around other people again"
"My hearing has been as normal as you would expect for all my life, but five years ago I started having problems. (I work in a noisy bakery plant so I presume it hasn't done it any good). In addition to my hearing problems I also have mild tinnitus. I was more recently prescribed a hearing aid (Kirkland brand from Costco) and use a loop system when in certain places. The hearing aid works for most of the time but I still struggle to understand speech sometimes especially when there is a lot of background noise. I started taking The Hearing Supplement (they emailed me after seeing my story and asked if I would like to do a trial) and the results have been excellent with no side effects to date. I’m not sure if its coincidence, but my tinnitus is now less frequent and less severe too. I use it alongside my hearing aid as I find the two work well together to make the sounds louder and more understandable. I have since become a customer and thank them for their help and support in reaching out to me."